I had originally planned to review a different book for August, but had problems with the digital photo of the cover. So at the last minute before publishing my monthly preview, I decided, or rather, God decided, this was the book I was supposed to read. 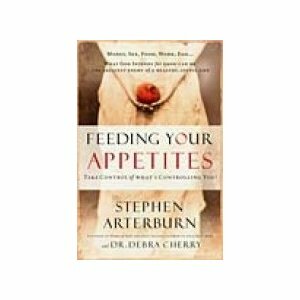 I’ve been reading Stephen Arterburn’s work for many years. His books always bring conviction and comfort and this one was no disappointment. With touching personal stories, Mr. Arterburn shows us why we should refuse the lies we’ve been believing and how to make needed changes that will bring healing if we choose to do the work. As always, it’s our choice whether we want to be healed or not. The Choice to Connect Your Life: We must branch out from the “I only need God” mentality; take a healing risk to connect with others who can help us experience life to the fullest. The Choice to Feel Your Life: We must press past the habit of numbing ourselves. Once we can define and acknowledge our feelings true healing can begin. The Choice to Investigate Your Life in Search of Truth: Take an honest look at your life in the past, where you are today and where it is leading for the future. The Choice to Heal Your Future: When we stop dragging our past into our future we lose weight that slows us down and can rob us of a healthy future. The Choice to Help Your Life: By choosing to reach outside ourselves we can help ourselves have the life God desires for us. Healing is a Choice is full of valuable information that can help anyone no matter the life situation. As I said before, Stephen Arterburn’s books always help me. Even when I wasn’t looking for help, God knew what I needed. You may think you’ve got life figured out, but God may surprise you like He did me. Buy Healing is a Choice.